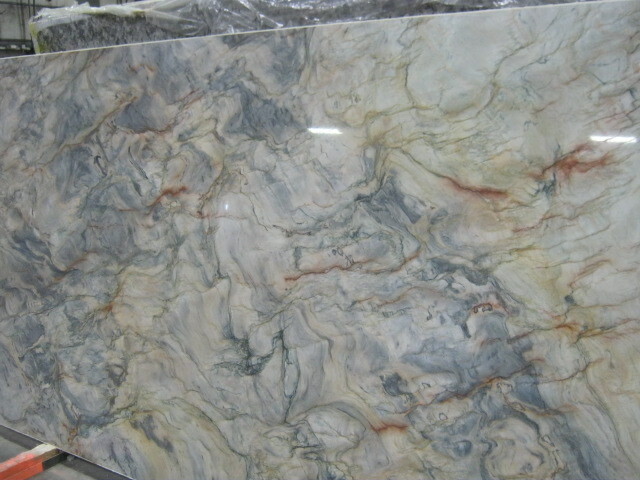 What a stunning piece of material our client has selected for her new kitchen. Definitely a conversation piece...really, it's like fine art at your fingertips! We'll post more pictures as the project develops. Their cabinetry will be just as striking...ivory with a hand brushed finish. Wondering what quartzite is? 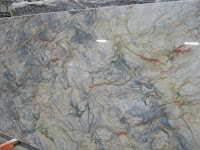 The Marble Institute of America describes it as "a metamorphic quartz based stone formed in exceedingly hard layers. 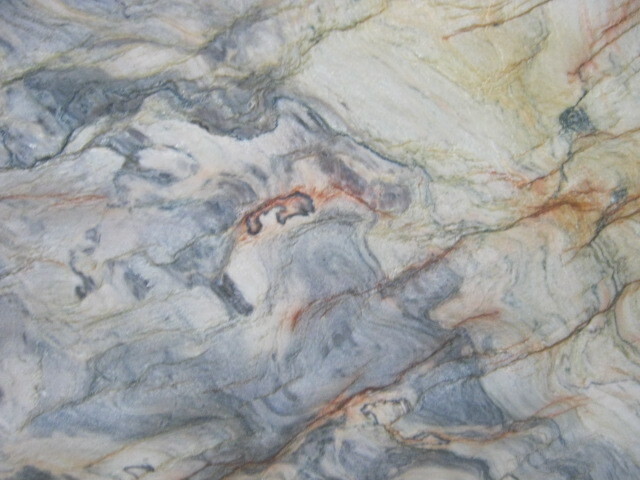 In some deposits, instrusion of minerals during the formation process create unusual coloration."